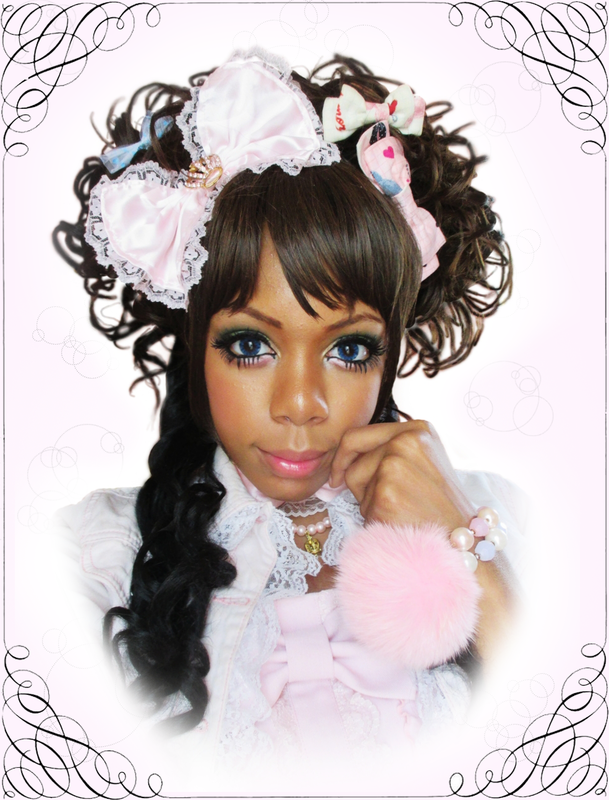 A·M·A·N·I: Tokyo Kawaii TV in NYC! So last week Tokyo Rebel had made a last minute announcement saying that Tokyo Kawaii TV was going to be filming in New York this past weekend. What a rush! Come to find out that they were filming both the lolitas and my gal friends over the weekend. So excited over it still, I wonder how the episode will come out! Unfortunately I had to work the day the NYC gals were filmed, but I did manage to be filmed with the lolitas. The NHK people filmed at Tokyo Rebel ( I ended up being really late and managing to slip into the last group of people!) and then drove to Cha-An, a Japanese restaurant a few blocks away. Not sure if they did it with all the other girls, but with us, they drove us in this mini-van to maybe a block away from the place, and then filmed us walking to the restaurant and entering it xD pretty exciting I guess. Once we got there we joined the other lolitas and was treated to tea and dessert. I ended up getting filmed too! They were just asking general questions, like "how are you feeling right now being in this setting and everything" to which I replied something along the lines of 'I'm really enjoying myself right now. It's good to see everyone, having been friends with everyone for a long time, so getting this time to reconnect for the first time in a while has been really enjoyable for me." They also asked me something about the style, I guess why I liked it? I don't quite remember. But about 2-3 questions. As far as food, I had this dessert set, which was like a treat sampler (chocolate scone with cream and candied orange peels, earl grey macaron, piece of raspberry pound cake? etc etc) and I must say, the scone especially was the best scone I've ever had. It was so warm and soft inside and had this wonderful texture to it, just sighhh. And for tea I had a hibiscus iced tea, since it was pretty warm and humid that day. After Tokyo Kawaii had left, a group of us decided to stroll our way to the Big Gay Ice Cream Shop, and before we made it there, we stopped into Doug who was taking a beer break LOL. He filmed us on his cam walking into his store, just filling up the thing with frills and served us ice cream. After that we made our way back to Tokyo Rebel, chilled there for a while before heading home. I usually keep the ties in the hat when I wear it because I really dislike the look, but there was no way the hat would've stayed on my head with all that weave without it xD It's all good though. tights: from sockdreams! Leg Avenue, I think? I can't wait to see the episode. They said it'll come out sometime between the end of October to sometime in November. Can't wait to see it! Those desserts look pretty amazing! Wow, how pretty are Yanise and Alex?! : D You're in all kinds of famous, you! Being on all kinds of TV and such. 8) Awww yeah. And duuuddeee. You should have film-bombed Yanise's room and just spread your entire mag collection EVERYWHERE. Haha.